1. 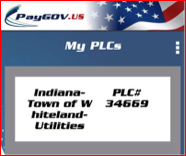 Through our PayGov.us portal where you can make your payment from your computer. iOS "App Store" or Android "Google Play". 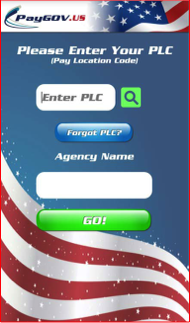 The PLC is only needed for the mobile app. 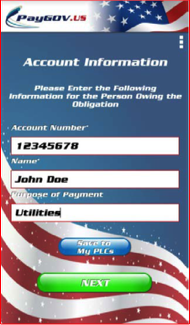 The Town of Westville is excited to announce the ability to pay your Utility Bill online! Per Town of Westville Policy, overpayments exceeding $10.00 will be declined. At this time, only utility bill payments will be accepted. Payment for other fees, deposits, etc., must be made in the office. Please feel free to contact the office at 219-785-2123 with any questions. 1. Open the App Store from your device. App Store for Apple devices and Google Play for Android devices. 2. Search for "PayGOV Mobile"
3. Download and install the application. 5. 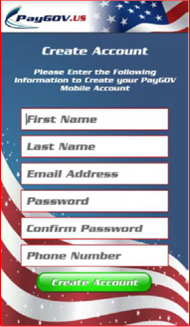 Select "Register" and create your PayGOV Mobile Account. 6. 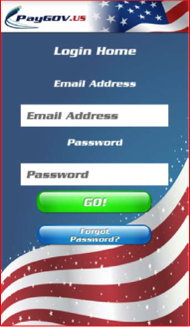 Once you've created your account, login with your username (email) and password. 8. Enter your account information for the bill you're paying. 9. 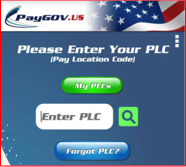 If you want to save the Payment Location Code and your account information for future payments, select "Save to My PLCs". 10. Select "OK", enter the payment amount and select "GO". Review the information and select "NEXT". 11. 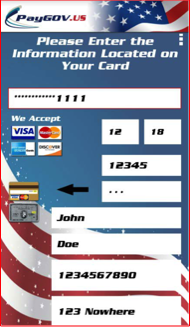 Enter your card information. 12. Scroll down, from here you can either process the payment, or select "Save to My Payment Options" to store this card information for future use. 13. After you've saved the payment information, a confirmation will be displayed. 14. 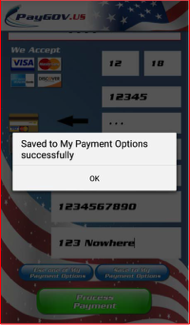 Select "OK" and then "Process Payment". 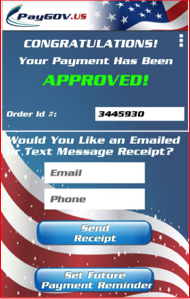 can scroll down to email/text a receipt and set a reminder for a future payment if desired. 16. Select "Set Future Payment Reminder" to set the reminder details. It will automatically associate the reminder with your "Saved PLC". 17. Once you've input the reminder details, select "SAVE". The reminder will appear as a push notification (you may have to enable app permissions) on the selected date and time. 18. 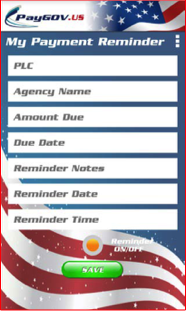 You can access and modify your "My PLCs", "My Payment Options" and "My Payment Reminders" details from the PayGOV Mobile Menu. If on an iOS device, select the Menu button and if on an Android device, select the three square menu icon at the top right of any stage. Processing a Payment from a Saved PLC. 1. 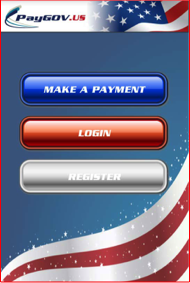 Login to your account and select "Make Payment"
3. 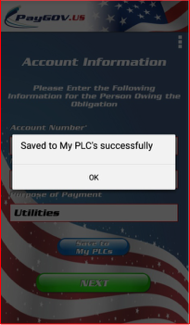 Choose your stored PLC from the list, select "Yes" when prompted to continue to make a payment. 4. Your previously entered account information will be displayed for review. You can edit this information by selecting any field. 5. 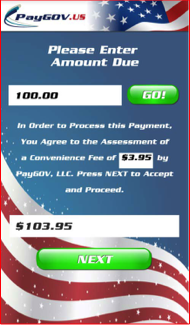 Select "Next" to go to the Payment Amount stage. 6. Select "Next" to go to the card information stage. You can enter new information or recall previously stored card information. 7. To do that, scroll down and select "Use one of My Payment Options". 8. Selected the stored card you want to use. 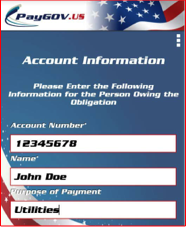 9. Review your information and select "Process Payment". ALL DONE! 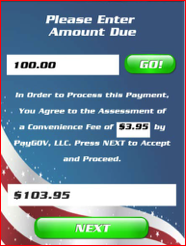 THANKS FOR USING PAYGOV MOBILE! 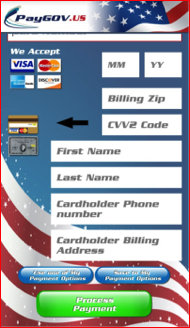 You can also pay your bill with a debit/credit card by calling the Westville Town Hall Office at 219-785-2123.